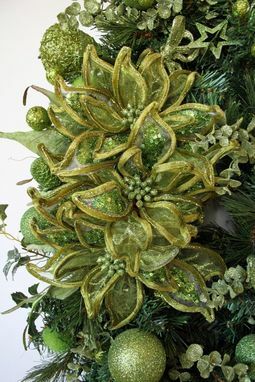 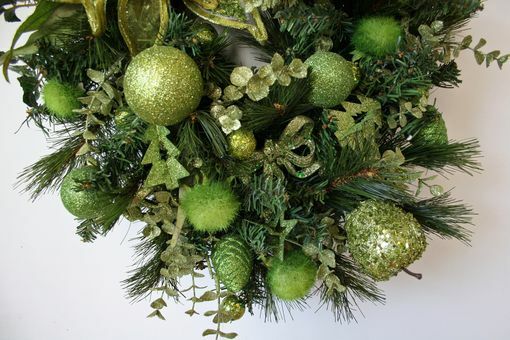 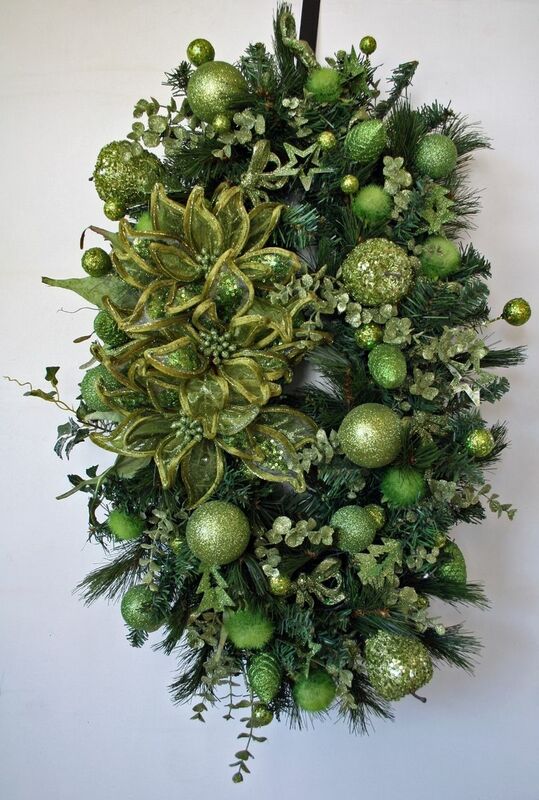 This large, oversize oval wreath is decorated with shades of green. 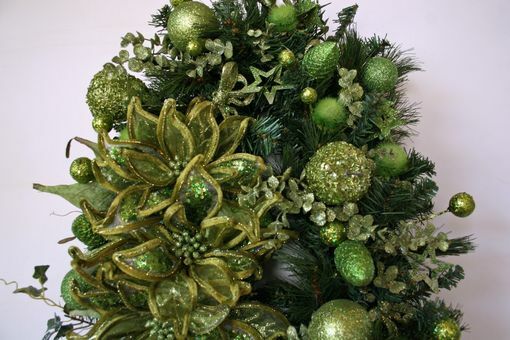 Green ornaments, green holly, and green poinsettias. Stunning! 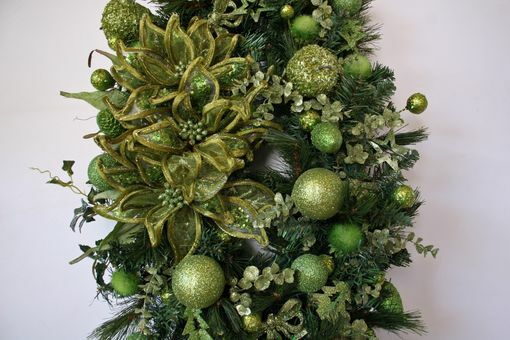 Measuring approximates 18 inches by 36 inches the wreath was created on a grapevine wreath base.